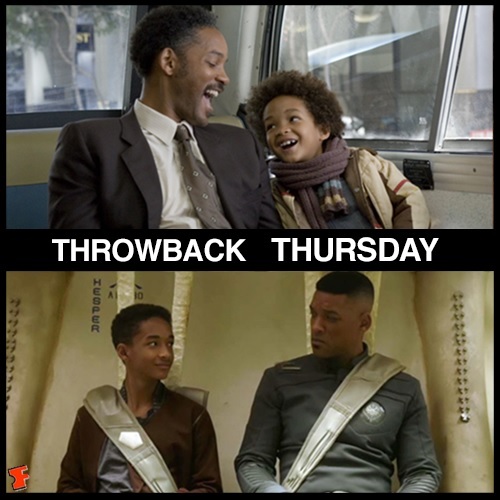 After Earth, a story written by Men In Black star Will Smith, the film tracks a man (Smith) and his son (played by his son Jaden Smith) who are stranded on Earth, 1,000 years after humanity has abandoned it. With Cypher (Will) critically injured, Kitai (Jaden) must embark on a perilous journey to signal for help, facing uncharted terrain, evolved animal species that now rule the planet, and an unstoppable alien creature that escaped during the crash. Father and son must learn to work together and trust one another if they want any chance of returning home. Thanks Fonzie for the tickets. After watching, this film somewhat reminds me of many other plots. One would be my favourite childhood classic “Mighty Morphin Power Rangers” where Zordon assisted the Power Rangers through their watches. Too bad Cypher couldn’t morph his son back when he did not listen to his orders. The “adventures” Kitai had while travelling to get the beacon from the tail resemble the simplified version of Hunger Games. Also, the condor that Kitai “bumped” into reminded me of the Chinese classic “The Return of the Condor Heroes 神鵰俠侶”, but it was touching when the condor sacrifice its life for Kitai. I had read some critics before watching the show and many gave very low ratings for this movie. Here’s my thoughts after watching the movie. – It’s a simple, straight-forward story. A son tries to save his and his father’s life by going on a journey to find an item which could enable them to get help. But audience are used to complicated plots, so this plot is simply to plain for their liking. – It has only one enemy, that is the alien creature that “scared” Kitai by placing dead corpses in his path. This creature only appeared as a form of flashbacks. It’s sudden but final appearance was too short-lived for the audience to feel any fear or excitement. – Cypher Raige (Will Smith) has almost no action scenes, except the film opening where they introduce him. I was actually looking forward to him interacting more actively with his son rather than him trying to control and direct him through gadgets. – It is a simple, straight-forward story. For the very same reason, some people might love it. It all depends on what expectation are you having when watching the show. If you look deep and think simple enough, the morale of the story is good enough to touch your heart. – It is a (somewhat) sentimental show. 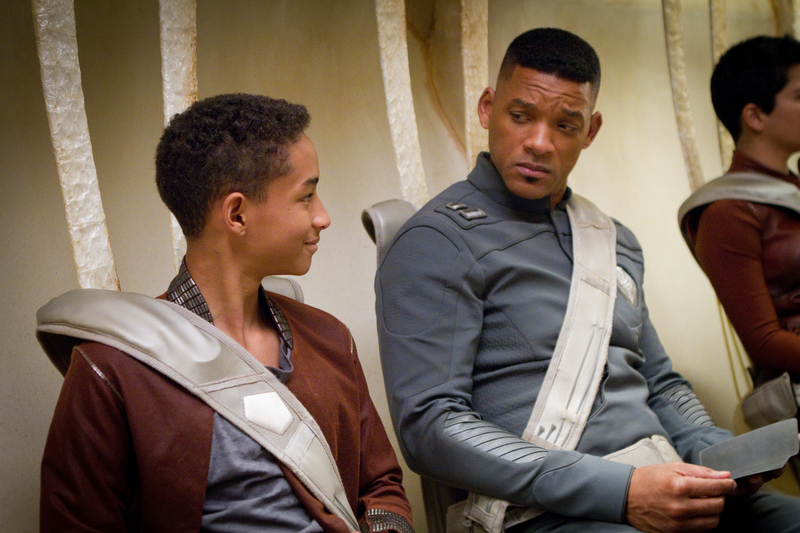 Despite the criticism, I do think that Will Smith and Jaden Smith acted pretty well in the movie. The recklessness of a youth filled with guilt of his sister’s death, hoping to prove to his father and get his love, the smile he had when his father finally brings him out on a journey, Jaden did it sincerely, and true. – A learning and motivational lesson for kids. If you have siblings or kids who tend to be frightened by little things, perhaps this is the show to encourage them. Whenever you are in trouble, kneel (stay calm), think and access the situation, before acting on it. After-all, fear is a choice. I like the way Will Smith expressed this simple but true statement. He did it in a matter-of-fact, solemn yet soft manner, trying to encourage his son in a way he knows. This is the second time that real-life father and son Will Smith and Jaden Smith play father and son on screen. The first time was in The Pursuit of Happyness. Will Smith and son Jaden Smith first starred side by side in 2006’s Pursuit of Happyness. The original idea for the film was about a father and son on a camping trip. The son would’ve had to make his way through the forest to find help for the father after the car they were traveling in careened off the road. Realizing that the idea had greater potential, producer Will Smith and screenwriter Gary Whitta decided to adapt the basic survival concept into a much larger science-fiction project. 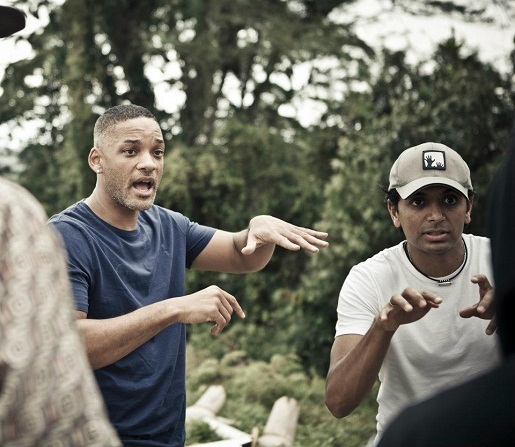 Will Smith had wanted to work with director M. Night Shyamalan for several years, but couldn’t find a suitable project. 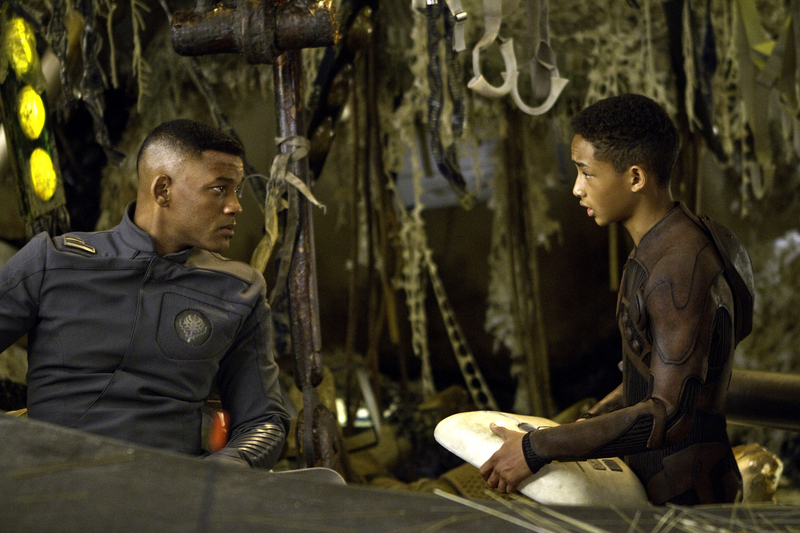 It was Smith who personally hired Shyamalan to direct After Earth. This is the first time in twenty years that director M. Night Shyamalan has accepted a project based on someone else’s screenplay. Although not credited on the finished film, co-writer/producer Will Smith was responsible for much of the movie’s direction. While Shyamalan was primarily in charge of the blocking (composition of shots, placement of the camera) and the visual aspects of the film (color and design), it was Will Smith who personally coached Jaden Smith in his performance and dictated the development of the story and the way the on-screen action would unfold. Click here to check out After Earth Official Website. 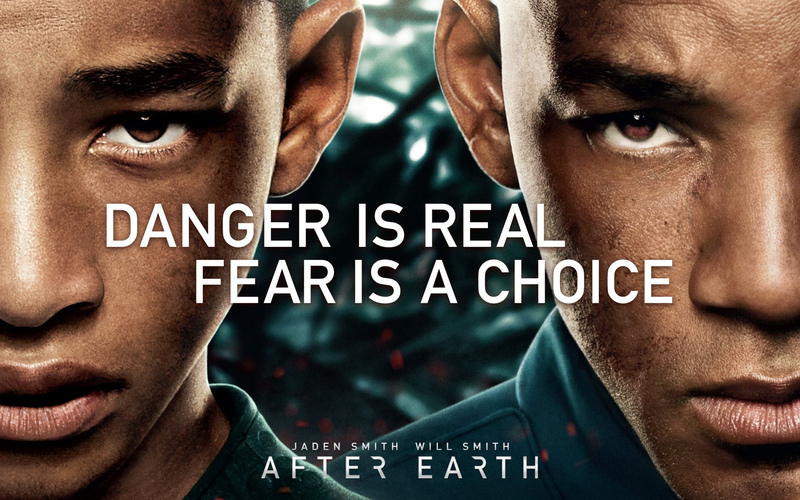 After Earth will be in cinemas from 6th June 2013.